In this view from the launch at Oceanside, Cape Lookout is visible in the distance. Oceanside is the site of a long running April fly-in. 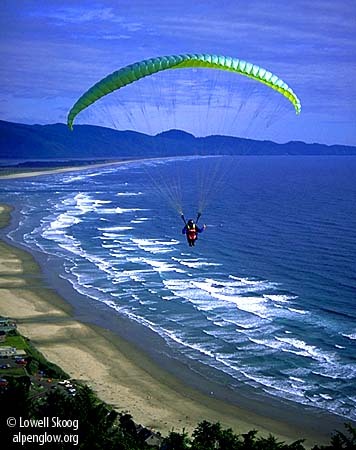 Hang glider and paraglider pilots from California to British Columbia come to soar in the ocean breezes and frequent showers. Here C.B. Schmaltz soars in June sunshine.